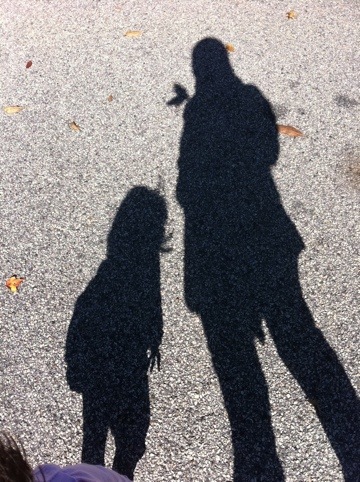 Shadows fascinate me. 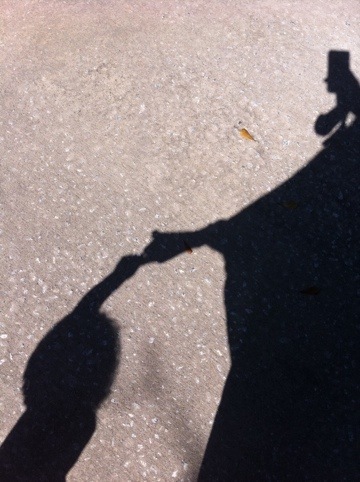 I love how when you look at a shadow you have to guess how the person was feeling by his/her body language. 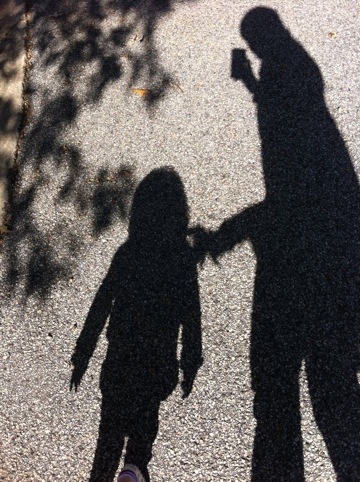 Needless to say I take lots of shadow pictures whenever I can. I can tell Z is enjoying outside and is reluctantly holding on to my finger. See her trying to escape? Those photos were taken a week ago on my iPhone. I love how light and effortless it is to take a quick photo. Yesterday I again took a similar photo with Z. 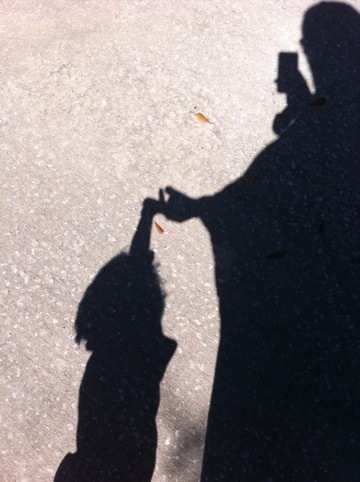 But this time I noticed in my shadow photo Z looks big. Not baby big but big as in like a little girl big. She looks confident and independent. The weather’s colder here and we’re bundled up. I love the tree leaves shadows. I have a cluster of leaves for hands below. I’m collecting and pressing leaves for one of my grandmothers in Pakistan so she can enjoy these colourful treasures and won’t miss them. Needless to say Z refuses to hold my hand for longer than a few seconds and is clamoring to explore each and every leaf in sight. She is growing not just in size but independence. The shadow says it all. trainsnherons reblogged this on Deep Within and commented: I rePETE…been goofing off all day…wish I had time to pour over this blog…one of my fav’s!